Enjoy this exciting game that takes traditional farming gameplay and implements a ton of new elements into the mix. Run your very own restaurant and turn it into one of the best in the land. Visit your friends and help out in various ways to earn bonuses. Cooking Country – Design Café is an exciting game that allows players to build their very own farm and run a restaurant business alongside it. This is the kind of game that you can be hooked on for countless hours because of all it has to offer and we highly recommend trying it out if you’re looking for a feature filled mobile game to enjoy. When you get into Cooking Country – Design Café for the first time, you’ll be taken through one of the most in-depth and informative tutorial sequences we’ve seen in a game of this sort. The tutorial takes quite a while to go through but it’s worth every single second because of the useful information that it has to offer. By the end of the tutorial, you’ll not only have a firm understanding of the game but will also have a fair bit of currency and experience under your belt that’ll help you start things off. Onto the gameplay, Cooking Country – Design Café revolves around two major gameplay aspects; farming and restaurant management. 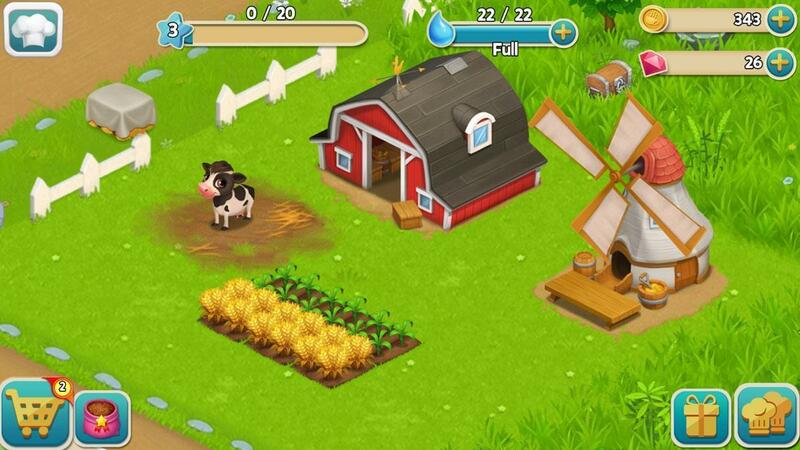 The game prioritizes farming more, though, and the farm game elements are some of the best out there. You’ll be able to build an absolutely massive farm and choose from various kinds of crops to plant. Each individual crop can then be used to create products that you can either sell or utilize in your restaurant to make dishes. 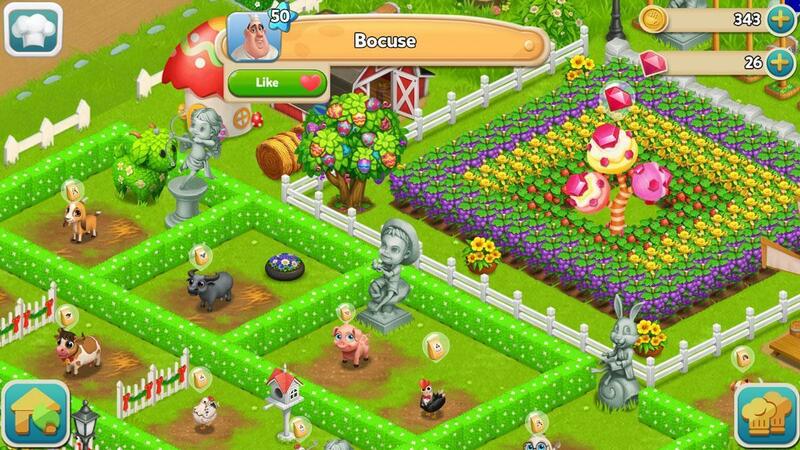 The game also has multitudes of animals that you can place in your farm to acquire produce like eggs, milk and other similar things. The restaurant management elements of Cooking Country – Design Café, much like its farm based gameplay, are quite extraordinary. 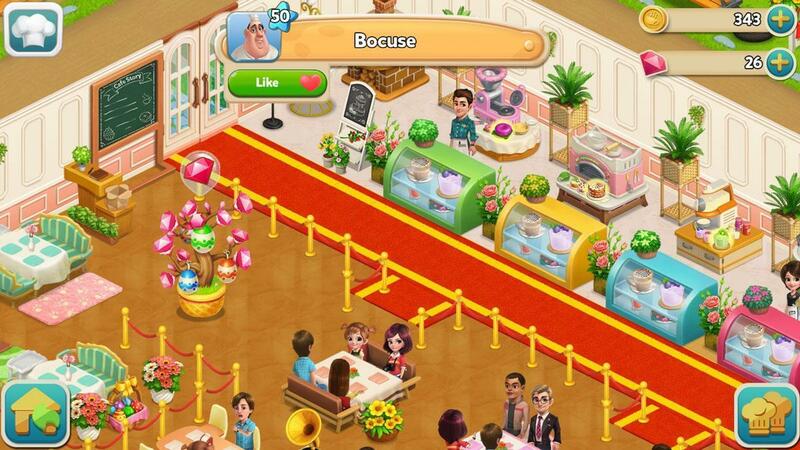 The game allows players to build up their very own restaurant and serve all the customers who walk in. The restaurant management in Cooking Country – Design Café is quite like that of other similar games so you’ll need to be quick whenever customers walk in or they’ll become impatient and go away otherwise. There are tons of dishes that you can create and, as you progress through the game, you’ll be able to unlock new dishes to serve your customers for better reviews and more income. In terms of visuals, Cooking Country – Design Café is a delightful game. The game’s artwork is top tier, the textures have a ton of detail in them, the animations and special effects are absolutely breathtaking, the color palette is vibrant and, on top of all this, the characters look quite lively and realistic. Cooking Country – Design Café is free to download and play but it comes with micro-transactions through which players can acquire in-game bonuses with real world money. All said and done, Cooking Country – Design Café is a top tier game that blends farm gameplay with restaurant management elements to give players a refreshing and immersive experience.